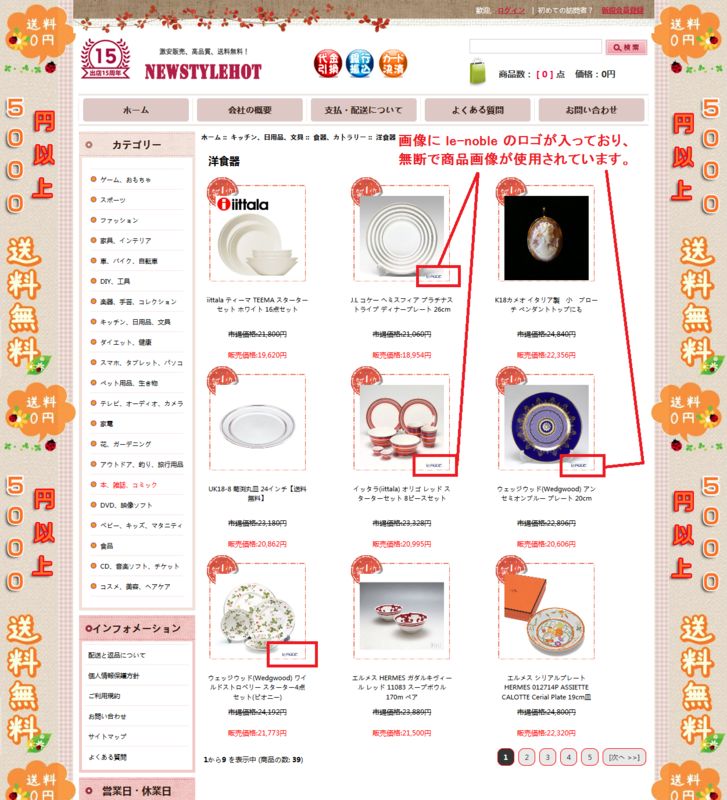 We would like to draw our customer’s attention to a fake website on the Internet, which copies Le-noble web shop. They are stealing our logo, our pictures, our products description and design banners. Additionally they change their names regularly what makes difficult to catch them. Please be careful if you find a fake, suspicious online page because it is not real, and makes unauthorized use of Le-noble! Nowadays the numbers of online cheaters have been increasing. They are creating fake websites and ask for advance payment. In the reality these companies are not exist and do not deliver anything. Be sure about you purchase from original Le-noble webpages! - We made an application for Google to eliminate the links of fake web shop are similar to Le-noble. - Other search engine called Bing (running by Microsoft) was not available to accomplish our delete request, regarding the specifications of their engine. Therefore, pay attention when using “Bing” search engine. - We have sent a warning message to the fake website for stop using immediately Le-noble pictures and texts. - We have informed the police about this illegal online activity. Hiring a security company the police has started to try to stop these cheaters. ☑ They are using extremely low prices and provide unbelievable services. ☑ The same product page multiple published. ☑ Company addresses and phone numbers are missing. ☑ They don’t have official email address, using for example “freemail” addresses. ☑ Bank transfer is the only available payment method. ☑ Personal name or foreigner name used for bank account name. ☑ Company information has strange context and long texts. Any other le-noble web site you find with a different name must be fake, so do not use it!